A Thailand foreign company is a business entity which shares are majority-owned by non-Thai nationals or foreigners. Certain types of businesses are prohibited to be owned by non-Thai persons or activities if they are listed in the prohibited categories of Foreign Business Act. If the foreign company or entity seeks to conduct business in one of the prohibited categories of business, it must obtain a business license according to the provisions of the Foreign Business Act B.E. 2542 (A.D. 1999). A foreign business license in Thailand allows foreign investors to conduct and manage foreign businesses that are normally restricted to foreign nationals under Thai law. List 2: This list of businesses is grouped into 3 categories and is permitted to foreign investors under special conditions. Wood fabrication for furniture and utensil production. List 3 – List of prohibited international competitive business which Thai nationals are still unequipped to compete with. Thailand companies with majority of foreign ownership require obtaining a foreign business license from the Foreign Licensing Department of the Ministry of Commerce. The process is often facilitated when Thai BOI approval is obtained. 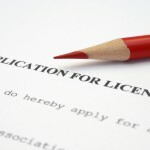 A foreign business license may potentially grant non-Thai nationals 100 % ownership for types of businesses under certain categories of otherwise prohibited businesses. Factors affecting the approval and issuance of a Thai foreign business license may include the impact on Thai employment, transfer of technology, benefits to the public and the ability of Thai nationals to perform the activity, among others. 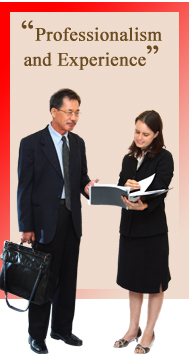 Generally, the application process for a Thailand foreign business license is very lengthy and complex. It may take a minimum of four months for foreign companies to receive a decision on its application.